When I load cold and dark state(that is my default state) and turn the batteries on, I can't start the cockpit prep checklist. I went to options and made sure the checklist option was on. I also tried loading turnaround state but it just goes back to cold and dark. 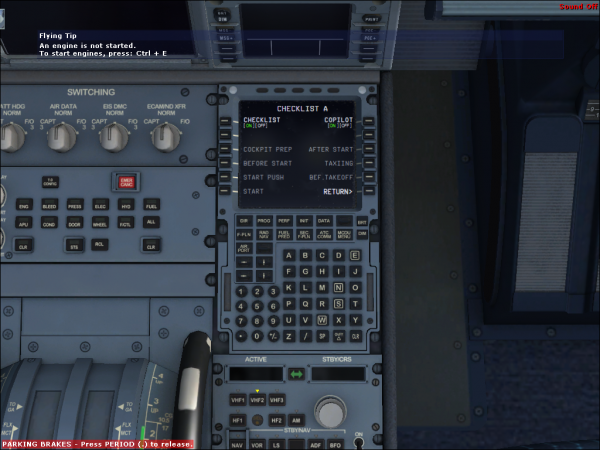 I have the boxed version A320/A321 version 1.31. I have many other problems which I am going to post in other forums. Please help me. The fact that you also have "many other" problems sounds to me, that you have a problem with your installation. I have not installed on administrator account. And what about the other items in the list? Thanks for your help. But do I have to uninstall the aircraft and install it again? I have already done that once. Except last time FSX crashed after 1 minute and had all the same problems.This time(and last time) when I was installing the aircraft, it the computer said that one NavDataPro file didn't match the setup or something like that. The other problems I have include the left MCDU not responding to any input or if I press any button on it it won't respond. 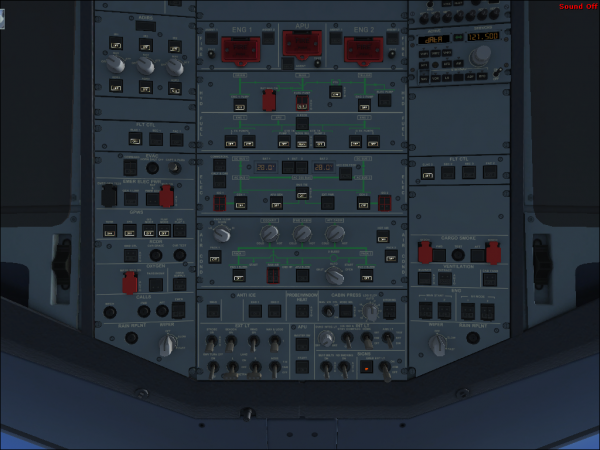 Also a lot of lights are showing ''off'' on the overhead panel like the ADIRS lights and the flight computer. So when I try to turn on the ADIRS the it doesn't show ''ON BAT''. Make sure to start the new installation as administrator and install the SimConnect package as well. About the ADIRS switches: after the re-installation please work yourself through the included step by step guide (Vol6-StepbyStep EN.pdf) to make sure you haven't missed an important thing before. Thanks once again.But how do I go to the step by step guide? I am very sorry that i provided you with incorrect information. I actually have version 1.30f. Thanks again for your help. I would like to suggest to get the latest version (from the place where you bought the bus initially) and update first.